Picture the Distracted Boyfriend internet meme, where the boyfriend is a Tesla owner and the girlfriend is the Model S.
The other woman? That’s gotta be the Fisker EMotion. The all-new Fisker Inc. debuted its luxury electric car, the EMotion, at CES 2018, and it’s a beauty. 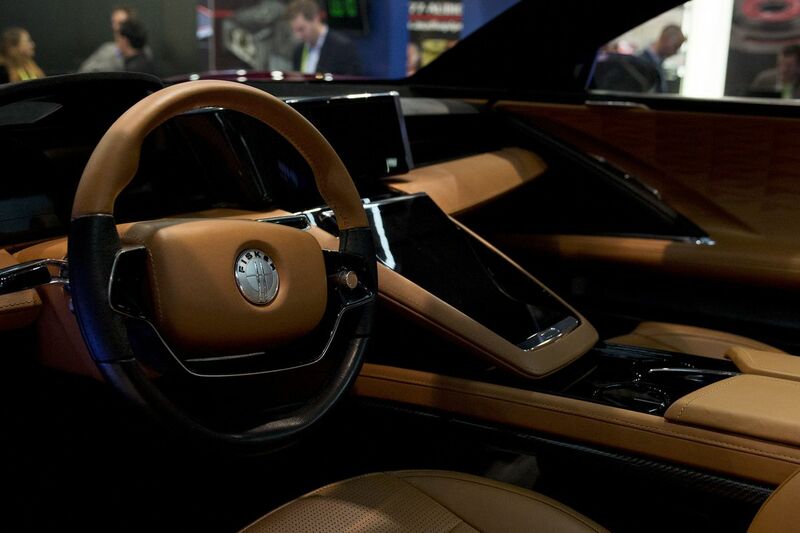 Fisker’s sporty sedan would look completely in its element pulling up next to a Corvette or Porsche. But this a car made for the future, with equal attention paid to brains as well as looks: The EMotion will ship with an advanced autonomous driving system, and the battery — planned for a 400-mile range — will allow ultra-fast charging. That’s mostly on paper, though: At today’s unveiling, founder and CEO Henrik Fisker said the car wouldn’t be shipping for two years. And when that day arrives, some of the most advanced features (like fast charging) will likely still be in development. Regardless, this is an impressive prototype. The clearest one-up over Tesla is the driving range: At 400 miles, it beats the Tesla Model S by about 80 miles (though the new Tesla Roadster has more than both at 620). The car has a top speed of 160 miles per hour, and the chassis is made of carbon fiber, which keeps the overall weight down. The starting price tag: $130,000. The car’s stats are only matched by its looks. Seeing it in person at CES, I honestly couldn’t stop staring at it; it’s one of those cars you just have to stop and gape at, even while you’re trying to do something else, like have a conversation or do a little texting. I was distracted boyfriend all over this thing. 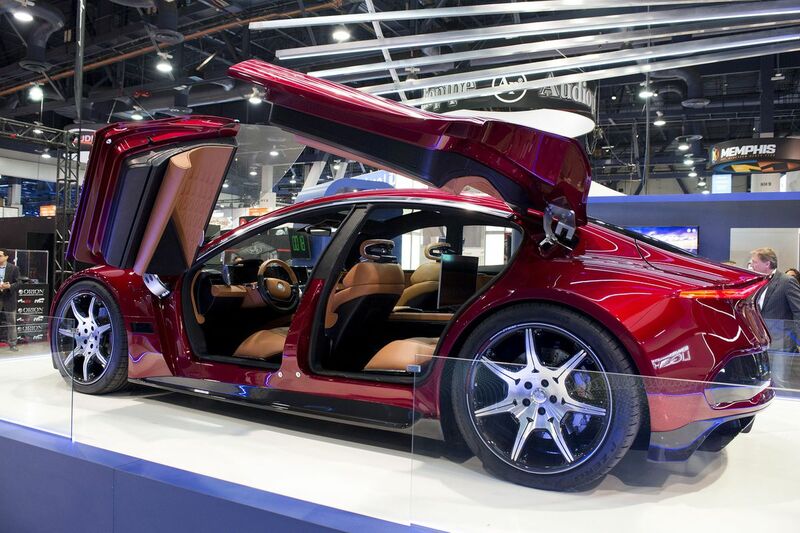 My favorite design feature has to be the butterfly doors, and the EMotion is the first car to boast a butterfly design in both the front and the back doors. They look like they could fall off with just a tug, but the hinges are sturdy enough to keep the doors firmly in place — even when I banged into one. The interior is roomier than you’d expect. It seats four passengers, and the prototype I sat in had a Samsung TV on the back of the passenger seat, which reclines all the way forward for better viewing. Fisker says the car will ship with a Level 4 autonomous driving system, which describes a car that can drive itself in almost all situations. 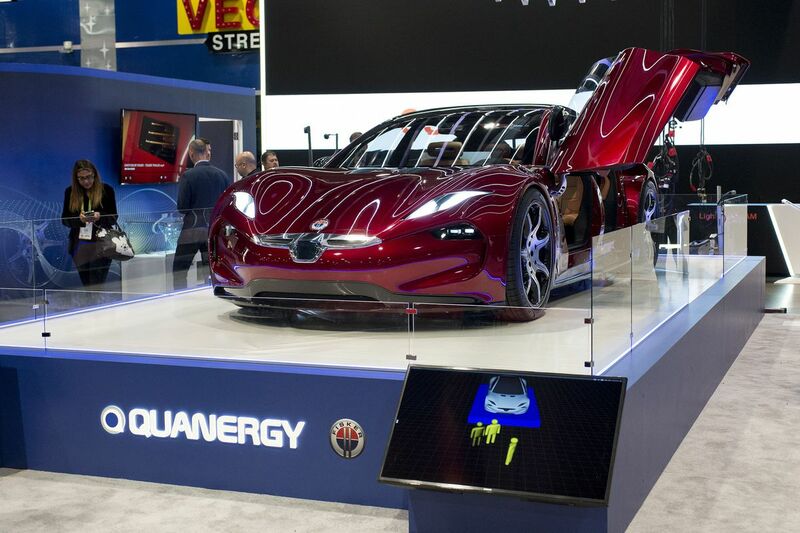 Fisker’s tech partner, Quanergy developed the system, and the LiDAR systems are cleverly integrated into the design so as not to infringe on the EMotion’s sleek curves. 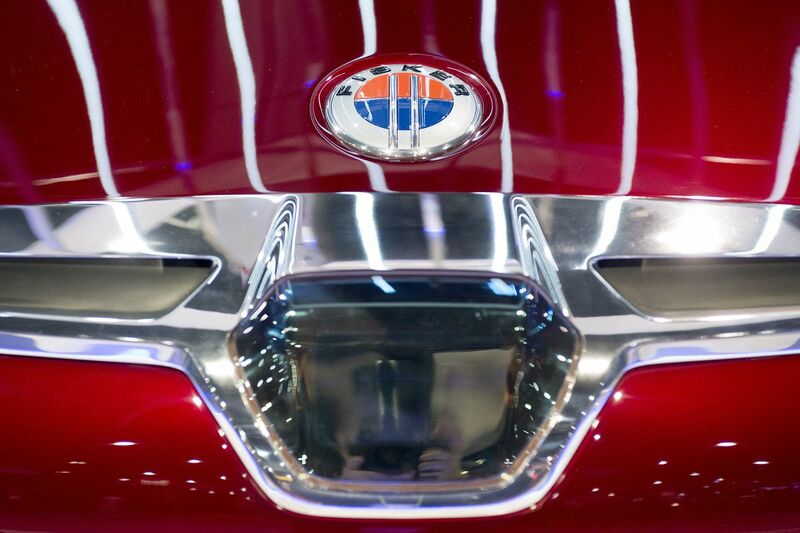 For example, the main front-facing sensors are behind a glass panel beneath the Fisker logo. It’s one thing to say you’ll ship a Level 4 self-driving car, but it’s another thing to say it will ship on time, the tech will be proven, and regulations will catch up. All of which is to say, even if the EMotion arrives in 2020, it probably won’t be driving itself much of the time. If the autonomous driving tech looks ambitious, the battery tech sounds like a pipe dream. Based on flexible solid-state batteries, Fisker says drivers will be able to charge their vehicles incredibly fast, potentially filling up an entire 500-mile tank in a minute or less. That sounds like the future, and it is. When it debuts, the car will have more conventional LG batteries that fill up about as quickly as batteries today, with the solid-state battery tech coming at an unspecified later date. It’s totally OK to take all of Fisker’s promises with a grain of salt, and that goes double since we were already burned by this brand once already. 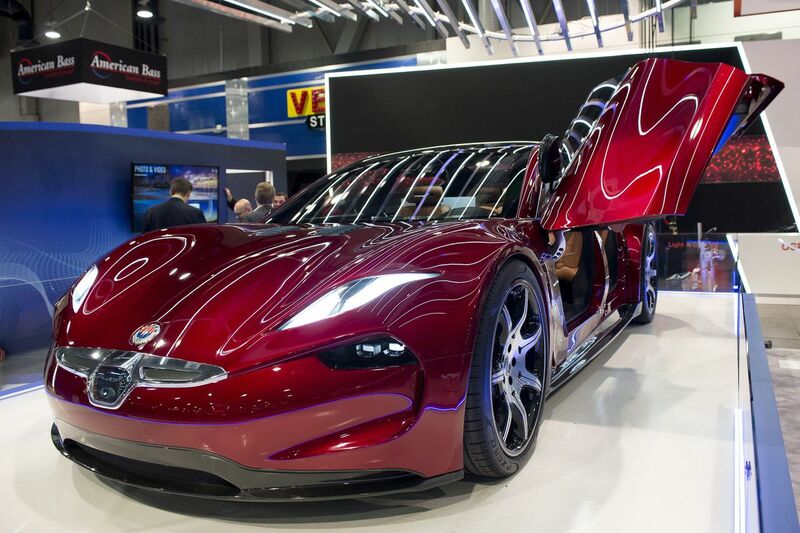 Fisker’s first shot at electric-car dreams fizzled out in 2013 because of poor design choices and bad company strategy. Now he says his new team has a lot of “lessons learned” from his first failure and is ready to try again. 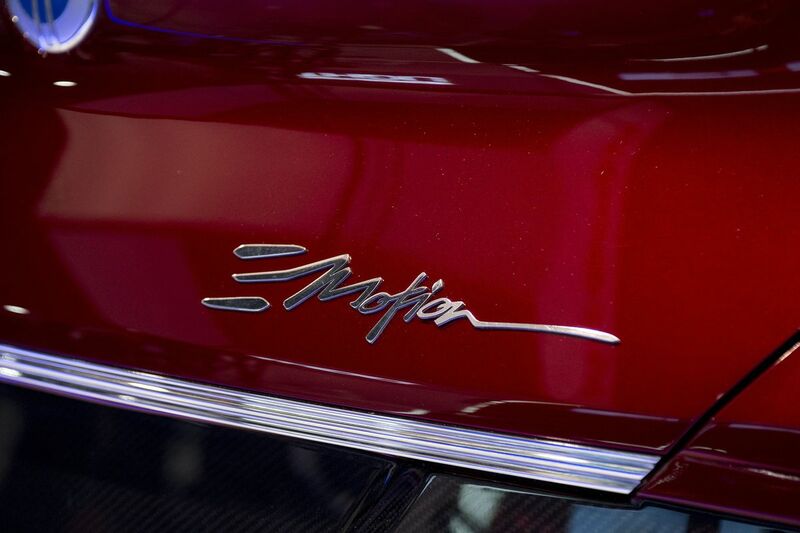 The lesson Fisker appears to have taken most to heart, though, is: Be more like Tesla. The script of debuting a gorgeous high-tech sports car, overpromising on features, then do a lower-cost model later is very familiar, but you can hardly blame Fisker. Tesla has been riding high with adoring fans and a soaring stock price despite still being nowhere near its potential. Why not try pulling of the same trick? Electric-car enthusiasts — at least well-moneyed ones — will be glad he did.